Over the last month, thousands of people have ordered CUB’s Guide to Fighting Robocalls and signed petitions to big telecom companies demanding action against robocalls. Now it’s time to turn to Washington, where several bills against robocalls have been introduced in the U.S. House and Senate. 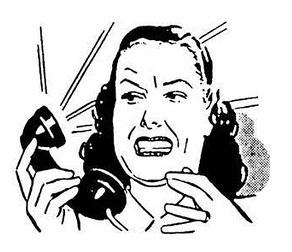 Stopping Bad Robocalls Act, HR 946: This House bill would give the Federal Communications Commission (FCC) increased authority to combat robocalls, ban more kinds of robocalls, require all calls to have caller ID information, and lengthen the statute of limitations for violations. There’s an urgent need for legislation. Experts predict that scams will make up about half of all 2019 cellphone calls. Tell Congress to prioritize fighting this nuisance!